As inventory begins to pile up, orders increase, and staff expands, the urge to move into a bigger warehouse can begin to affect even the most seasoned of warehouse managers. It’s hard to argue with: the extra space will surely help you get more done, right? It’s a nice thought to help you get through stressful situations, but there’s something you might want to consider beforehand: do you really need the extra space? Do you have a lot of empty space? One of the biggest contributors to warehouse inefficiencies and clutter is incorrectly-used space. This could range from unused parts of the warehouse to empty slots left in your warehouse shelving that could fit other items. Take a look around your warehouse and see if anything can be installed in an empty corner or a storage closet nobody uses anymore, and in extreme cases you might consider building a mezzanine to add more floor space and create a little more elbow room. Is your inventory properly organized? If things are starting to feel a little claustrophobic, you might be better off trying to relocate some of your current inventory and optimize your storage instead of moving into an entirely new warehouse or facility. Are your most popular items stored right up front where they can be easily accessed? Are things sorted on your wire shelves or pallet racks according to a previously-designated system or are things just sorted wherever they wind up? Before you decide to move, see if you can free up some space by re-thinking how you currently store items. This can also help your workers find needed items more easily, leading to less confusion and better efficiency while picking. Can you create better traffic flows? A commonly cited reason for major warehouse moves is to improve traffic flow. While making sure workers and equipment can travel aisleways safely is vital for preventing accidents and maintaining productivity, there are several things that can be done to improve traffic in your current warehouse. Measure your current aisleway sizes and see if anything can be spread out (or compressed in certain cases to make more room elsewhere.) Use traffic data to see what the most commonly-traveled areas of your warehouse are and make adjustments as needed. If a commonly-used area is too cluttered for many people or forklifts to travel through, consider renovating it to free up floor space and remove accident-causing obstructions like cables to allow for a smoother flow of traffic. Can you streamline workflow and processes? Instead of committing to the financial needs of a brand-new warehouse, you may want to consider bringing on extra staff to help with efficiency concerns and to get more done. The more workers you have, the more orders you can fill (and the easier you can do them,) and the greater the productivity of your current warehouse. Try to reduce the number of touches on every package, minimize movement by changing to a zone-based strategy, and see if you can make your staff and warehouse work smarter instead of harder. Can you store item overflow in a smaller facility? In many cases, the need for a bigger warehouse is brought on by an abundance of stuff. Clearance items you can’t give back to the vendor, seasonal items that can’t go out for sale yet (and will surely move quickly when they do,) and other slow-moving SKUs that still need to be housed somewhere. 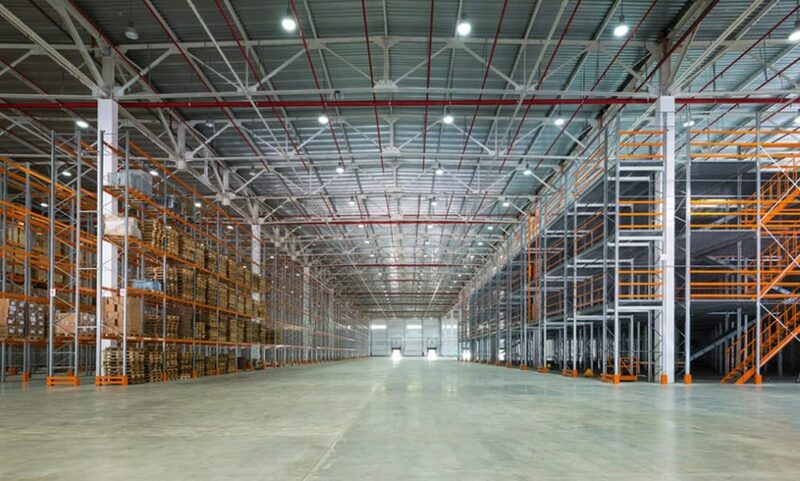 It will be a much lesser impact on your bottom line and performance to seek out additional, smaller warehouse space outside of prime markets to store overflow and ship them out as needed. Trust us—it’ll be far easier on you in the long run. If you have any other questions about making your warehouse work harder for you, contact Shelving Inc today.